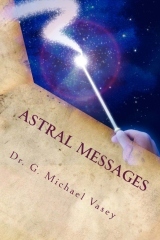 Sue Vincent has kindly written a review of astral Messages on the Amazon.co.uk site. It reads like this – Thanks Sue! Writers can be mysterious creatures, their personal presence and character divined only vaguely and often erroneously through their work. The phenomenon of blogging has opened a portal into their lives and allows readers to catch a glimpse of the person behind the persona. In Astral Messages Gary Vasey has collated a selection of posts from his blog, Asteroth’s Domain. These posts, written over a number of years, allow the reader to see into the mind and heart of the man. This vision is expanded by marrying each of the posts with a poem. On the surface that may not seem of much importance, but read side by side this opens a whole new level of perception. You have only to read the first pairing in the Amazon preview of the book to see this in action. There is a depth and openness to beauty in the poetry, a realisation of the multi-levelled nature of reality and perception in the prose… and already it shadows the thread of magic woven through this little book. Every page gives food for thought and further reflection. Yet this is not a manufactured collection, these are thoughts that have arisen and been written as a response to a moment in time, a mood, a whisper of inspiration… and they show the man behind the words for any who take time to look. A thoughtful, thought provoking little book. Highly recommended. The publisher – Roundfire Books – is running a promotional price on the kindle version of The Last Observer. As I understand it, its a 2-week promo and will NEVER be repeated and is designed to get a few reviews. Of course, you can also get a reasonable price on the paperback if you prefer the smell of books – as I do! On Amazon UK its priced at 99p and its also discounted on the US site so far as I can see.. Many thanks to Gordon for taking the time to read it and then provide this very beautifully written review…. Here’s an interesting idea, to juxtapose prose reflections with poems. Of the latter, ‘A Dream’ and ‘Life’s Tapestry’ are gems of composition. The poems get my vote straight away because most of them rhyme, thus they have an inherent melody and rhythm. That is not to say blank verse cannot have these qualities, T.S. Eliot – for one – did pretty well on this score. It is a rare talent, however, and the experiment often misfires. What is very endearing is the honesty of the writer. In a gesture of great affection he dedicates the book to his father. Gary is not afraid to reveal his fears, loves and his puzzlement about the world. Never maudlin or sentimental, he debates the pros and cons of an argument, and only goes slightly off beam when he has a mini-rant. Could it be that the work reads best when the analytical and the lyrical complement each other, and are perfectly balanced? Magic is mentioned, as one would expect from a recognised pundit upon the esoteric. The deep anxiety that may accompany exposure to the occult, the profound responsibility of owning magical power, and the nature of reality are all examined. The views of Dion Fortune upon relationships and the polarity of the sexes are given a welcome airing, all in the context of Gary’s own marriage. The author despairs of the current evil of ‘dumbing down’ and the embracing of received opinion. For this sensitive and perceptive artist, ignorance is most certainly not regarded as bliss. With Astral Messages now out and a Kindle version of Inner Journeys (my very first book) having also just appeared, my first novel doing quite well and…. a kindle version of The Mystical Hexagram about to appear, I thought perhaps I would just write a quick article about all of my books. 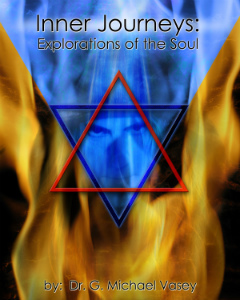 The first book was Inner Journeys: Explorations of the Soul. Having completed the first degree course with the SOL, I asked Dolores Ashcroft-Nowicki if she would mind if I published a sort of autobiographical book about why I had done the course and what I had experienced. Not only did she think it a great idea but she helped me find a publisher and to promote the book. It was published by Thoth in 2005. Interestingly enough, I recently worked with Tom over at Thoth to make a Kindle version of Inner Journeys that is now available for sale. Having written one book, my mind being what it is, thought what about publishing a book about ETRM software – which is the software I work with for a living. As a more or less independent analyst, I thought we could self publish it and get one or two clients to sponsor it. The general idea was that it would be paid for via the sponsorships and then earn some reasonable royalties as a self published book. This concept worked amazingly well raising $40,000 in sponsorships which more than covered production of the book. Of course, my employer saw the money as opposed to me though I most likely got it in salary of course. The result was “Trends in ETRM Software: A Primer” co-written with Andrew Bruce that appeared in 2006 via Createspace. This book is no longer in print as it was superceded by a second edition this time written with Patrick Reames and also paid for via sponsorships and published in 2010. Around that time, I was also interested in hedge funds and how they were beginning to trade commodities. My partner in crime on hedge fund research – we undertook the first research project on the funds in commodities – was Peter C. Fusaro who had had a best seller with his Enron book. He was able to get Wiley Finance interested in a book and even got us a nice advance for the work. Energy & Environmental Hedge Funds: The New Investment Paradigm was published in 2006. It did OK but I think Wiley priced the book way too high at well over $100. In 2006, I had the bug for publishing and I also had a file full of poems written by me over the years – from 1972 to 2006 in fact. Of course I couldn’t resist and a selection of the better poems duly appeared as Weird Tales: Otherworld Poetry in 2006. Patrick and I also used the lucrative sponsorship and self publish model again to write and publish “Selecting and Implementing ETRM Software: A Primer” in 2008. Interestingly, this became the course book for a graduate program at the University of Houston and is my best seller so far with well in excess of 1700 copies sold to date. Around about 2006, I also had an idea for a novel discussed with my eldest son, Paul Vasey, in a pub in London. I ended up writing a chapter and a half but then my pen fell silent. The book was to be named The Last Observer. From 2006 until 2012 I was obsessed by a symbol – The hexagram. I really had some strange insights into the symbol that seemed important. Dolores Ashcroft-Nowicki saw some of the early material around 2008 and told me I was on to something and maybe so but I couldn’t finish it. I had the core chapters but somehow I was stuck until that is I asked Sue Vincent to take a look and trial some meditation exercises associated with the text for me. I didn’t want to kill anyone with the material and having an experienced practioner like Sue go through it would be reassuring to me that my exercises would be beneficial as opposed to destructive! Of course, I next asked her to help with diagrams and then write the introductory chapter and finally she was the catalyst that got the thing finished as she edited and added some of her material on the Qabalah to round out the book. I wanted to keep it in the SOL family and so Datura Press published The Mystical Hexagram in 2012. In 2012, I also took a few more poems along with some photos taken by Gabriela Vasey and used Lulu to publish Poems for the Little Room. It seemed to me that people liked having short photo and poetry books in their little rooms and why not mine? It hasn’t sold well at all so I am guessing I got that title and market all wrong! Having gotten over the hump so to speak with that one, I returned to the chapter and a half of The Last Observer. Strangely, Sue was again involved as I sent her a preview of that material and she responded “What, you are going to leave me there? Where is the rest?”. I began to write and the book wrote itself. I sent updates to Sue throughout the process and she kept me going. By January 2013, it was finished and I had a publisher – Roundfire Books. In late July 2013 it finally appeared. By now, I was writing like a fiend. So it seemed reasonable to go ahead and pull together my latest and best poetry combined with short articles and publish it as Astral Messages…..
And now I am writing two books at once…. One is about The Fool as an aspect of The Deity and the other is the prequel to The Last Observer…..
well – I don’t make any money but boy -is it fun! Here are all my books….except Poems for the Little Room that you can find on Lulu and Amazon.co.uk. I went to CNN briefly this morning, glanced at the headlines and suddenly realized something. I don’t believe the stuff you write CNN or BBC or any of the other mainstream and controlled outlets. I don’t believe you Mr. Cameron, Mr. Clegg, Mr. Milliband, Mr. Obama. I don’t believe a word you all say. This is a sad development because there was a time that I did. What is published on CNN and BBC isn’t news. Its opinion. 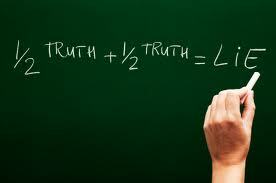 It’s spoon feeding the masses what someone wants them to believe. It doesn’t matter much what the story is it will have an angle. Its insidious and its increasingly obvious. Truth be told – and I am shocked by this myself – I would believe the Russian news service before I believed the western media. If they aren’t creating doom, gloom and fear then they are reporting on the ridiculous – celebrity nonsense. Anything to keep us all docile. 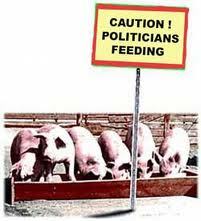 The politicians are the same. There is no substance, no worthwhile research (except what might make them popular at the polls), no real expertise among this group of 40 something idiots. Strong word isn’t it ‘Idiot’ but unless they can prove to me otherwise, that is exactly what they are – selfish, grabbing, look at me, idiots. I don’t care what the label says in terms of political party – Labour, Democrat, Tory, Republican – is there actually a difference? There used to be but not anymore. It’s all about maximizing their personal wealth while taking short-term nonsensical decisions. Nope. I don’t believe any of you and none of you have the answers anymore. It’s a corrupt system full of puppets reassuring us all they know what they are doing. They haven’t a clue and it shows. The answer to all of this is that we must all think harder about what we are being told. We must act on our instincts and feelings – our intuition if you will. We must be active. We must create our own reality by visualizing it and acting it out. I don’t mean violence. I mean knowing ourselves, taking and accepting responsibility for ourselves and doing or not doing as the case may be. We must be vocal. We must say – not shout – what we think. We must speak our minds via the channels we have at our disposal – social media. We should ignore the BBC and CNN and The Daily Mail etc. and we shouldn’t encourage the politicians – let’s all stay home on polling day, if you are a member of a party then let it lapse and don’t show them any interest – it just encourages them. Disinterest and action to do the right thing. This is how we should create a new reality. It’s time to let these institutions and people know – its over. We decided to end your attempts to control us and now we are taking responsibility. accepting the responsibility to create the kind of world we want. 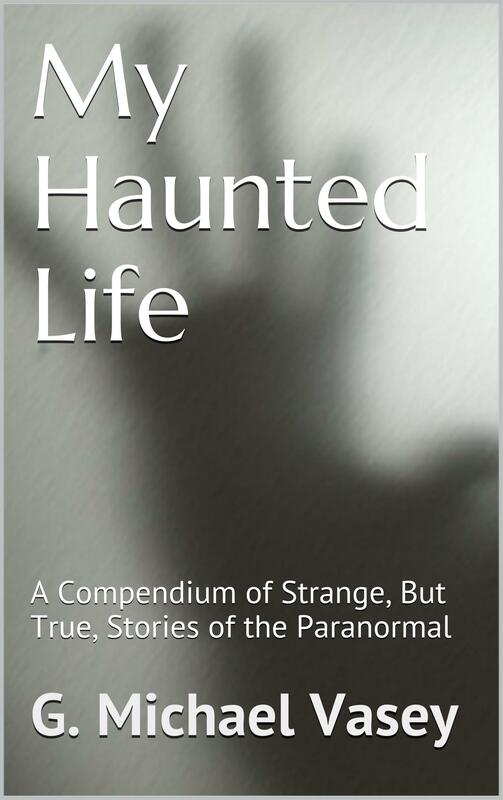 Sometime today, my 10th book will be available via the Amazon sites both in Paperback and in Kindle formats. Astral Messages is a collection of poems and short articles from my blog Asteroth’s Domain organized in such a way that each poem matches and supports each article. The subtitle of the book – is the poetry and thoughts of a troubled mind….. I think astral Messages contains some of my better poetry and by linking up the poems with articles such as The Art of Dreaming, The Measurement Problem and Relationships as a Mirror to your Soul,it may make you think and probably provide some things on which to meditate. 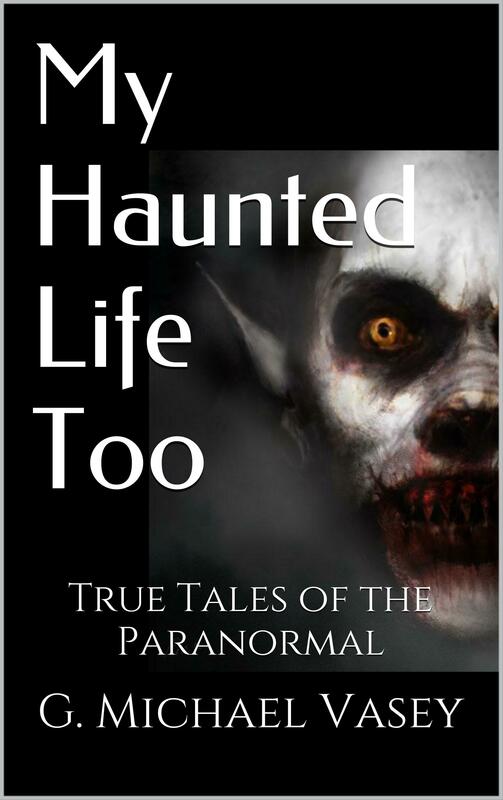 Later today, the Kindle version will be available on Amazon and later this week the paperback. For now, it can be purchased at the Createspace store. Astral Messages uses poems and blog articles from my long standing blog – Asteroth’s Domain – in a discussion of reality and magic. We are all magicians willfully creating our realities and this selection demonstrates how this touches all aspects of our lives – yes, even our socks! 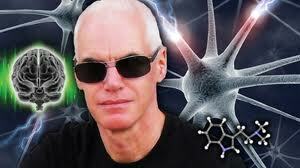 For centuries, there has been a secret, occult, tradition that has developed in parallel with science. In their earliest forms both traditions were identical, a singular approach to reality that included both the outer, physical world and the inner world of thoughts and ideas. Indeed, for these early “natural philosophers” mind and matter were simply aspects of a deeper reality and both were investigated using experimentation and observation. However whereas the physical objects that existed in three-dimensional space could be manipulated, broken apart and analysed using systematic techniques, the inner world of thoughts and dreams could not be understood using this method. Natural philosophy began to follow two separate paths. For a time a person could be part of both traditions, Isaac Newton for example. But as science began to define itself it found that only the physical world was willing to open up its secrets to those willing to interrogate it. Natural philosophy split into two seemingly conflicting world-views; the Physical and the Magical. The former developed into a process of understanding in which objects in the physical wold were systematically broken down into their constituent parts (or elements). This technique, known as materialist-reductionism, has become the corner-stone of all the physical sciences. The only thing that exists are variations on matter and energy and everything that is perceived is simply interactions between these two states. By understanding the relationships of the constituent elements any physical system could be understood. In this materialist-reductionist world view there was no place for anything that could not be measured or quantified. The Magical world view took a different approach. Its adherents believed that the world worked through the relationship of both objects and thought. Unlike Physical science, Magic proposed a model in which the physical universe was simply a manifestation of a deeper, non-physical reality and by controlling these deeper forces the material world could be controlled and manipulated. In other words for the magicians thought was prime and physical reality was secondary. From the time of Isaac Newton materialist-reductionism was in the ascendancy. Its process of understanding-by- breaking-down was startlingly successful. Not only did this technique explain much of the physical world but it also allowed scientists to create technologies by which that physical world could be harnessed for the greater good of all. From steam engines to medicine and from electricity to chemistry the power of materialist reductionism was self-evident. However, there were a handful of small issues that could not be explained by reductionism, issues that worried the scientists of the late 19th century. It was these small mysteries that were to bring about the greatest revolution in scientific knowledge. These mysteries were known as; Black-Body Radiation, the Photo-Electric Effect and the Emission Spectrum of Hydrogen. By 1905, Max Planck and Albert Einstein had explained these mysteries and, in doing so, had created a new model of science that reflected more closely the Magical than the Physical. This model became known as quantum mechanics. Over one hundred year later the discoveries opened up by the pioneering work of Planck, Einstein, Bohr, Born and Heisenberg have created a universe in which consciousness and the “act of observation” seem central. We now know that “mind” is an integral, not periphery, part of how reality functions. Recent discoveries have suggested the existence of a “quantum vacuum”, a place in which everything that is observed is encoded as information. There is also startling evidence that the universe is one huge hologram in which each part contains the whole. But the most staggering disclosure of modern science is that the universe needs an “observer” to continue to exist and that each “observer” may be responsible for their own sub-universe. This is magic masquerading as science. What is now needed is a novel that brings together our new understanding of science with the old beliefs of magic; a Dennis Wheatley novel for the 21st century. This is exactly what Dr. Gary Vasey achieves in this incredible book. 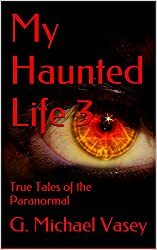 Gary tells a classic tale of mystery and suspense but weaves within it a series of themes that would be at home in any modern physics text book. He masterfully uses his own extensive knowledge of modern magical rituals to create a tale that is both mysterious and intriguing. However, the mystery soon gives way to something far more sinister and terrifying, a terror that explodes into a finale of epic proportions in which the fate of the universe itself is at stake. Once started this book cannot be put down and once finished you may just find yourself checking the shadows to catch a glimpse of the Lord of the Elements. The Last Observer is published by Roundfire Books and is available in paperback and eBook formats at every online book seller including Amazon.com and amazon.co.uk.